First Hill, adjacent to Seattle's downtown, is a very walkable, urban community. Everything a resident could want is within a fraction of a mile's walk and downtown is just minutes away. Belltown, Capitol Hill, and the Central District surround First Hill. Homes for sale in First Hill are a mix of historic to newly constructed single family residences, as well as condominiums. 4 Beds | 2.5 Baths | 2050 sq. Ft.
1 Beds | 1 Baths | 794 sq. Ft.
1 Beds | 993 sq. Ft.
3 Beds | 1 Baths | 1148 sq. Ft.
1 Beds | 1 Baths | 593 sq. Ft.
2 Beds | 1 Baths | 1059 sq. Ft.
1 Beds | 1 Baths | 439 sq. Ft.
5 Beds | 4.5 Baths | 4950 sq. Ft.
1 Beds | 1 Baths | 518 sq. Ft.
2 Beds | 2 Baths | 862 sq. Ft.
1 Beds | 1 Baths | 751 sq. Ft.
1 Beds | 1 Baths | 620 sq. Ft.
| 1 Baths | 503 sq. Ft.
5 Beds | 4.5 Baths | 4309 sq. Ft.
Blue Summit Realty has the most accurate and up to date First Hill real estate listings on the web. Currently there are 8 homes for sale, 22 condos for sale, in First Hill. Of the 30 total First Hill residential listings for sale 0 are bank owned, 0 are short sales, 0 are new construction, and 0 are townhomes. The price ranges from $285,000 to $0 with a median list price of $539,519 and median sold price of $787,905. Make sure to refine your First Hill real estate search by property type, price, square footage, bedrooms, bathrooms and more with the search tool above or view the First Hill listings on our interactive map. 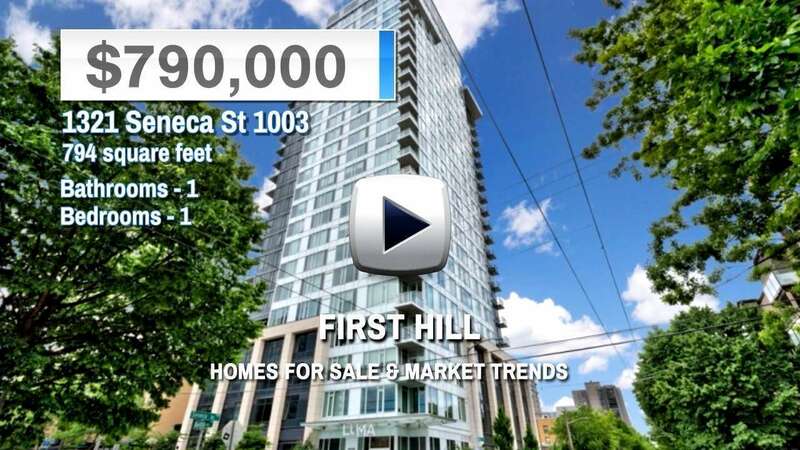 Our First Hill real estate listings were updated 4 minutes ago.